Q- First of all welcome back to Beirut, it’s really great to have you here with us. We know that you announced a new album coming soon, can you tell us a bit who did you collab with inside? Any special surprises or new artists? A-Yeah, that’s something which definitely have to be revealed in later stage. It’s something I cannot just announce like this, although I would have to say, I would love to but I have to keep a lot of secrets locked at this point, especially when it comes to the collaborations in it, and the name of the album, stuff like that. 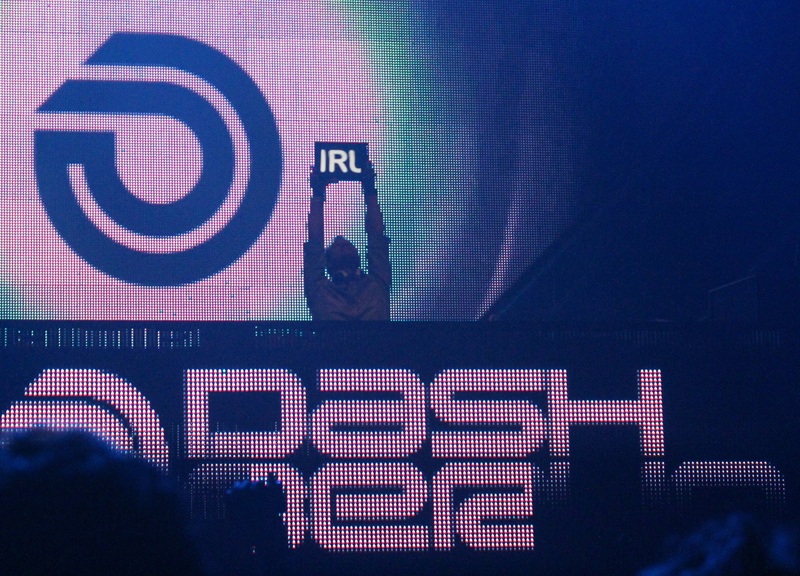 So unfortunately, I cannot reveal that right now, but I’m sure you guys know when you follow my social media, you’ll be immediately up to date when you follow Dash Berlin World on Twitter or Facebook for sure. And besides that, for me what you started with, it’s a great pleasure to be back in Lebanon. 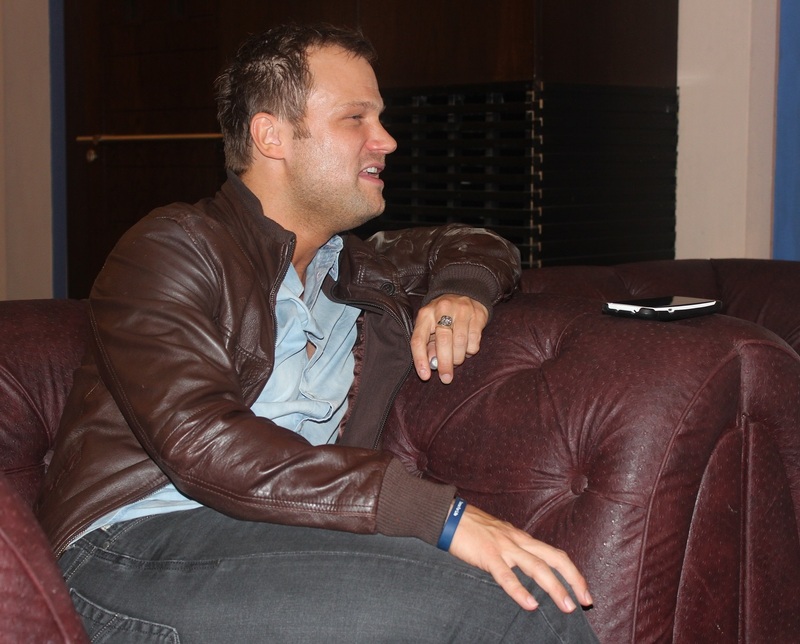 Q- There’s a new rumor that appeared today online that the album will be called “World Dashers” or WD. A- I say that, it’s interesting. I think it’s cool that people are thinking about what it could be, it mean that it’s interesting for people as a topic to talk about and I’m very happy although I cannot confirm that it’s gonna be the name at all. People are open to the fact that it could be Dashers, that people feel connected to be a Dasher all over the world, and that’s fantastic. Nevertheless, if it’s gonna be a dasher or dashers in the name of the album, I’m very happy with the buzz that’s going on right now. People are talking about it very much and soon more to be revealed. Q- Who’s your favorite artist at the moment? A- Whooo? I get this question a lot. The thing is that all over the world right now, Dance Music is doing fantastic. To give you an example, tomorrow I fly to Miami for 2 shows, then I’m flying to Taiwan, then I’m going to China, South Korea, so it’s going all over the globe and in an interview I did few months back, I said it wouldn’t surprise me that if there would be a party on the north or south pole, it would be sold out because everywhere people like Dance Music and that’s because of the talents all over the world right now, because people know how to use the internet, know how to teach themselves to make music and the level is getting higher & higher and that’s fantastic, that’s good for the established producers out there, it’s good for the new producers out there & that’s good for the oldschool producers out there over the whole spectrum. Everybody is trying to create a higher level spectrum. At this point, I can, out of my head, find up to 20 I can name. When you see my tracklists, I’m very fond of a specific type of producers which I always love to support. And it’s just a fantastic time, if you to get into the Dance Music Industry, you’re having lots of self-criticism, you’re having a high level, you’re able with ups & downs to go a certain level you want & establish a career in Dance Music, it’s possible. Q- If you could swap places with another DJ, who would it be? A- Hahaha! That’s an interesting question. You know what? Why not Steve Aoki? I could throw cake on the crowd, I can spray champagne, I don’t do that stuff, but I’m curious how it feels and how people react to it. I have never seen it myself, so why not Steve Aoki? I can grow my hair a little bit, grow some extra beard, haha yeah. In a way it’s also sharing, the cake sharing, it’s a bit a Dash Berlin principle but yeah, it could be interesting! Q- In your opinion, what’s the future of Trance Music & the current status of the scene? Especially when the genre is being influenced by other genres from Electronic Dance Music. A- Yeah, that’s the good thing about Trance Music because it’s influential. All over the years, Music changes; it’s for the good because of new music programs, new plugins, new thoughts on how people make music, new talents that are emerging into the scene with different thoughts on how to make music and everybody gets influenced by that. I think Trance still stands for melody and emotions but in the most broadest perspective as you can see it, and it’s always how I’ve seen it, and it can go from 126bpm to even 140 bpm, that doesn’t matter, and even over that, you have even Psy Trance even harder, and it’s for the DJ or the producer that’s referring to Trance to do something with that within the style music that he produces and wants to play at a party. And I think the go for a DJ is to create a good atmosphere and have a good party. DJs go to a party because people are there to have a party. I think the start tempo of Trance Music definitely have gone down while standard Trance was 138bpm, that has been gone down to 133 or 132, and take notice, “Till The Sky Falls Down” was 132, so for the original Trance time, it was considered slow but everything from 132 went to 138, so there have been a decay of around 5bpms over the whole spectrum but still you have the same music as 10 years ago, people still create 138bpm Trance which is Awesome and also with vocals which is very well produced, and you see that there’s a scene for those people. So in my opinion, when you see melodic music being so influential, although worldwide I refer it as Trance because I see it as Trance but people like to put things into small boundaries, I’m not really a “Box-ing” type of guy, I see over the whole spectrum & that’s how I like to DJ, and when people are open to that, that’s something you can expect in a Dash Berlin set. The cool thing is that I think there was 2 or 3 years ago, I think it was Sebastian Ingrosso who tweeted: “We need more emotions in Music”, that’s happening right now and emotions to me in music, in big part stands for Trance, at a point when he was tweeting that I was like “people should make more Trance”. When you see the influence of Armin & the ASOT radioshow, Cosmic Gate just started a new radioshow, Gareth Emery, Tiesto, obviously, who’s doing a very big perspective of Dance Music at this point but some people still refer him as Trance, you can see that in the whole world Trance is still super super popular, but people kinda see it as an old term while still new music is being produced by also new producers, so that’s really funny, that’s something I don’t really understand right now, because, to give you a small example, if you book Sven Väth as a DJ, you know you’re booking a Techno DJ, but he plays Tech-House, Minimal House, Techno, but he’s a Techno DJ. I think Trance is so strong although people are breaking it up into small boxes, if you book a Trance DJ, there’s so much more you can expect than people only think it will be only 138bpm. So I think that’s really a thing, and it’s really great because it’s going so much wider over the whole spectrum & that’s something really fruitful because it lets producers to make different type of melodies, styles of music, tempos but it goes on the name of Trance. That’s how I see the future, I see Trance 2.0, it’s not old style Trance, but it’s 2.0, the new style of Trance. Q- You’ve been to Beirut more than once and you always enjoy your visit here. How can you describe the city and the life here with all the bad things happening on this part of the globe? A- The cool thing is when you go to a party Beirut, people don’t think about that, so that’s already a plus. People are here for the party not any side things, they want to have a good time, and they want to forget everything that’s going on. People are shouting & dancing & having a good time. People are focused on the music, and when people focus on the music, Lebanon is really “Intense”. Yeah, that’s probably the best word to describe it & that’s also how I always kinda observed the atmosphere in Beirut, it’s really intense. People are going for the music, they are really emotional, passionate and I think for me that’s really a big pleasure to come here, because it gives me so much back, so much atmosphere, so much feeling I get back from the crowd here that I can try to kind of translate and try to use creatively in new music. It’s fantastic. Q- Funny question, do you usually make the 4AM remixes at 4AM in the morning? A- Hahaha! Sometimes they go out of hand little bit later, yes, that is true. You know sometimes, I have to say we do lots of work overseas using Skype and using sending projects back & forth, but I know in fact it can go a bit later, just to have a bit that 4AM style. I guess it shows that it’s different in style than normal work and in good way it’s always standing out. Q- Thank you for your time. 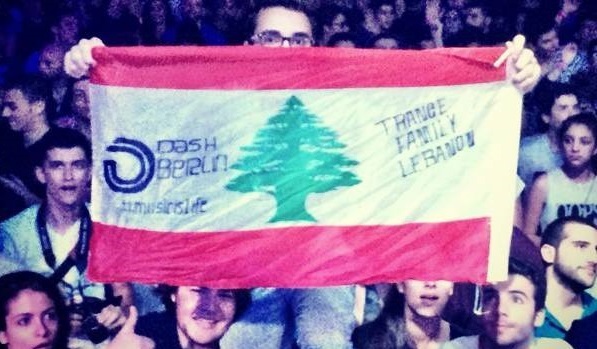 Any last message for Trance Family Lebanon & your fans in Lebanon? 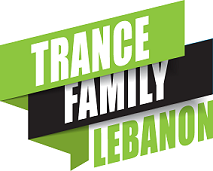 A- It’s a great pleasure to be here again, I want to thank everybody from Trance Family Lebanon but also all of Beirut for their continuous support all over the years. It’s amazing. I know who you are guys on Social Media, so I’m very happy we can share so much together & being together like a big great family & this is what I’m looking forward tonight, we’re going to move together as a one big family. And I think this is going to happen. Thank you so much for having me.